Was God lonely and wanted someone to relate to…so he made humans? Was he bored and one day got really creative and produced a universe that included people? Just why did he create human beings? After God created the first human he made a startling declaration, “It is not good…” (Genesis 2:18). He had created everything before this, and after each stage of creation he “saw that it was good.” Yet in this perfect world, before humans sinned, God stated something wasn’t good. What was this “not good” thing? It was man’s aloneness (not his loneliness). Some people have speculated as follows: Since aloneness was not good even in a perfect world, God must have felt alone too and that is the reason he created humans. Perhaps he wanted or needed a human relationship, so he created human beings to remove his own aloneness. One big problem with this thinking is that it implies something is lacking in God. And yet if he is perfect, nothing can be lacking. The other problem with this notion is that the eternal God never has been alone. Consisting as he does of three persons, he has existed eternally as relationship. A continuous cycle of perfect relationships has been eternally experienced within the Godhead of the Father, the Son, and the Holy Spirit. It’s true the first human was created alone (again, not lonely). But God remedied the “not good” by creating another human for the purpose of procreation and human relationships. So then, why did God create humans in the first place if he wasn’t alone? When God said, “Let us make human beings in our image, to be like ourselves” (Genesis 1:26), he was designing each of us to live and enjoy life in relationship as he did. While we can never comprehend the perfect relationship within the Trinity in an absolute sense, we do have the capacity to experience the joy of what relationships truly offer. Jesus said, “I have told you this so that my joy may be in you and that your joy may be complete” (John 15:11 NIV). God in effect is saying, “Become intimate with me, allow my joy to be in you, and through our close relationship you will experience the true joy of living, for you will bear the fruit of my nature—love, joy, peace, patience, kindness, goodness, faithfulness, gentleness, and self-control (see Galatians 5:22-23). And in doing so you will reflect my presence and give me glory!” And that is why God created humans—to give himself glory. God created out of his grace. He didn't have to create us. He lacked nothing. But he made us as an extension of his goodness. In 1647 the English Reformers created the Westminster Catechism, which included 107 questions and answers. The first was, “What is the chief end of man?” The answer: “Man’s chief end is to glorify God, and to enjoy him forever.” That states the reason God created humans very succinctly. “Everything comes from him,” Scripture states, “and exists by his power and is intended for his glory” (Romans 11:36). “Give to the Lord the glory he deserves!” (1 Chronicles 16:29). No matter what is said or thought or done, the Bible admonishes us to “do it all for the glory of God” (1 Corinthians 10:31), “so that in all things God may be glorified” (1 Peter 4:11 NASB).To bring glory to God—that is, to exalt him, lift him up, give him praise, to reflect upon him honorably—is in fact our purpose in life. Even though sin broke our relationship with him, because of Christ our godlikeness can be restored, as “we who with unveiled faces all reflect the Lord’s glory, are being transformed into his likeness with ever-increasing glory, which comes from the Lord, who is the Spirit” (2 Corinthians 3:18 NIV). So God created us so we could eternally enjoy a relationship with him, and in doing so bring great honor and glory to him. 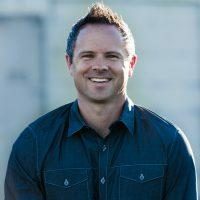 Sean McDowell, Ph.D. is an assistant professor of Christian Apologetics at Biola University, a best-selling author of over 15 books, an internationally recognized speaker, and a part-time high school teacher. Follow him on Twitter: @sean_mcdowell and his blog at seanmcdowell.org. This chapter originally appeared in 77 FAQs About God and the Bible by Sean McDowell and Josh McDowell (2012). Used by permission from Harvest House Publishers.